Joe Waller is a prolific singer-songwriter with one of his tunes being the namesake of the band. Joe and Katie (below) produce two music-oriented festivals per year at the Pioneer Settlement in Barberville, FL, one in April and another in the fall (November.) His strong vocal capabilities take the listener from the heart of a Celtic ballad to the fun of a tune about a pony! Joe's focus is on bringing the audience into the performance with sing-alongs and shared musical reminiscence. Joe is also is the founder and leader of Jackson Creek String Band, www.folkfiddle.com where he and Katie (below) share songs ranging from those of Celtic origins and stylings to folk and even some mild bluegrass to with the possibility of a touching lament of the Texas cowboy thrown in for good measure. Their recent CD "I wish I was..." was just honored with "Traditional Folk Album of the Year 2013" by he National Traditional Country Music Assn. in Le Mars, Iowa. 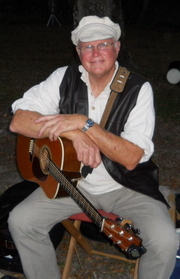 Joe and Katie also produce two music-oriented festivals per year at the Pioneer Settlement in Barberville, FL� one the first weekend of November each year and another in the Spring. Katie Waller, fiddler, was classically trained on the viola and violin, but for a long time now she has been a full time fiddler! She enjoys playing various fiddle styles from Celtic, to folk, to old-time. 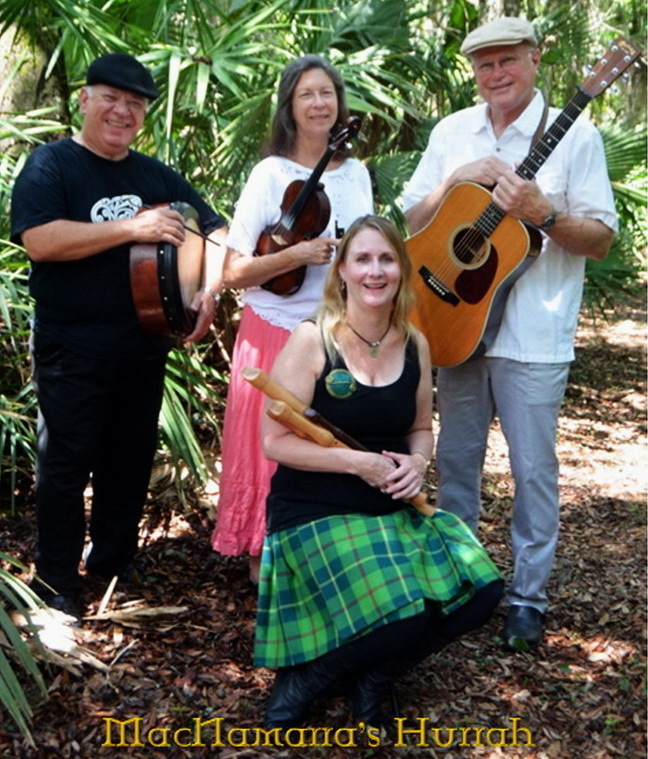 Katie regularly teaches workshops and fiddle classes at the Sunshine State Acoustic Music Camp, Florida Folk Festival, Will McLean Festival and more. Her "Training Wheels in D" CD is popular with beginning fiddlers and mandolin players nationwide. Chuck Spano is a Florida-based percussionist who has had the good fortune to have played with some of the best musicians from around the world in a variety of genres, both here in the USA and overseas. He'll usually play with multiple groups, on a variety in instruments, at various festivals. His primary interest is in the realm of Traditional Celtic songs and tunes, especially "indigenous" arrangements and tunes/songs from Scotland and Ireland which seldom make it across the pond to America. 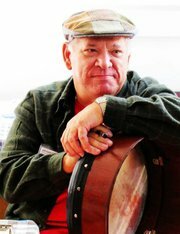 Spano has taught the various percussion workshops at the Florida Folk Festival (and others) for the past many years and is especially interested in teaching beginners and playing for various dance groups as well as experimenting with a variety of percussive instrumentation in the Celtic fusion, Afro-Celtic, and New Age/Classical arenas. Chuck is also the musical director for the Ormond Beach Celtic Festival in April of each year (Ormond Beach, FL) and produced a concert series for over twenty years featuring national and international touring artists - he plans to soon start development on a series of percussion and accompaniment videos covering a variety of instruments, in conjunction with Frank McGuire of Glasgow and possibly some other well-known European artists.